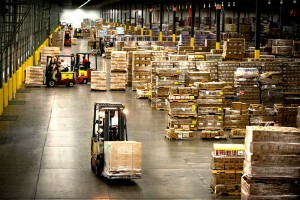 Midwest Express is a single source provider of Distribution, Warehousing, Transportation. At Midwest Express we focus on and commit to providing customized cost effective solutions to our customers utilizing the wide range of integrated service capabilities we offer as a full service logistics provider. Every client has unique needs. At Midwest Express we utilize established best practices to meet your specific needs while delivering the flexibility that’s essential in today’s volatile business environment. Whether your business requires a single warehouse, a multi-client warehouse or an end-to-end distribution solution, Midwest Express will meet the challenge. From physical location to postponement needs, inventory flows and transportation costs, Midwest Express implements solutions that give you the perfect combination of quality service and cost savings all while aligning our services and processes with your corporate culture and business strategy.